December 20 is the 354th day of the year in the Gregorian calendar. There are 11 days remaining until the end of the year. 69 Vespasian, formerly a general under Nero, enters Rome to claim the title of Emperor. 217 The papacy of Zephyrinus ends. Callixtus I is elected as the sixteenth pope, but is opposed by the theologian Hippolytus who accuses him of laxity and of being a Modalist, one who denies any distinction between the three persons of the Trinity. 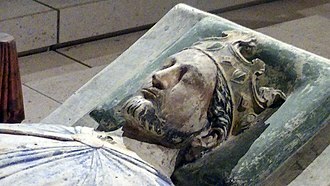 1192 Richard I of England is captured and imprisoned by Leopold V of Austria on his way home to England after signing a treaty with Saladin ending the Third Crusade. The English Post, the scene of heaviest fighting; the tenaille is on the left and the main wall is further behind it, visible in the background; on the right of the wide dry ditch is the counterscarp that the attackers had to climb down before storming the city wall. The ditch is enfiladed by the Tower of St. John, its bulwark and lower wall proving vertically stacked fields of overlapping fire. The stone cannon balls seen in the ditch are from the fighting. 1522 Siege of Rhodes: Suleiman the Magnificent accepts the surrender of the surviving Knights of Rhodes, who are allowed to evacuate. They eventually settle on Malta and become known as the Knights of Malta. 1560 The Scottish Reformed Church, organized with the help of John Knox, held its first assembly. 1576 Edmund Grindal (ca. 1519–1583), Archbishop of Canterbury, sent a letter to Queen Elizabeth protesting her order that he tell preachers throughout England to stop speaking so often. She felt three or four sermons per year were sufficient. Grindal's refusal to enforce her wishes earned him house arrest. Edmund Grindal was once saved from instant death because he loved to read. As a youngster, he was so intent on improving himself that he took a book with him wherever he went. Walking in the woods one day, he had just tucked one of these books back into his breast pocket when an arrow sped out of nowhere, thumped into the book and quivered there. Thanks to his reading habit, Grindal was not killed on the spot. He matured to become one of the few men who dared to openly buck an order from Queen Elizabeth I.
Grindal's bold challenge to his queen would not come for many years, however. While studying at Cambridge, Grindal sat under the teaching of Martin Bucer, a continental reformer, closely acquainted with both Luther and Zwingli. Grindal became a Protestant and sought to imitate this teacher, who was notable for his holy and peaceful life. During the reign of Edward VI, Grindal held religious office at Westminster and was a chaplain to the king. But upon the accession of Mary, whose intention to restore the Roman Church was no secret, Grindal fled overseas. While in Europe, he gathered material on the many martyrs that Mary's reign supplied. Grindal's notes became the basis of John Foxe's famous Book of Martyrs. With the death of Mary and the rise of Queen Elizabeth, Grindal returned to England. He was made bishop of London. Eleven years later, he advanced to become Archbishop of York. While in York, Grindal led teams of ministers throughout his archdiocese, teaching the reformed doctrine, establishing churches and placing men in the pulpits who showed evidence of genuine conversion experience. He cared less if a man had a university education than if he had the Holy Spirit. The result was genuine revival in York. The Archbishop of Canterbury, Matthew Parker, died in 1575. The following January, Elizabeth moved Edmund Grindal into England's highest church office. Grindal was in office not even a year before the crisis came. A form of preaching known as "prophesying" was in vogue, especially among Christians with Puritan sympathies. Two or three pastors would band together to speak on a chosen topic, questioning and critiquing each other. This method of presenting the gospel drew large crowds. Grindal himself had made heavy use of it in York. Elizabeth feared that under guise of such meetings, insurrections could gather. She ordered Grindal to suspend the practice. Grindal might have complied or he might have quietly ignored the queen. Instead, he sent her a long letter on this day, December 20, 1576. In it he refused to comply with her order. Christ commanded us to preach the gospel, he said. Church matters should be left to the church. The archbishop reminded her that she, too, was mortal, although a great monarch. Elizabeth was furious. She placed Grindal under house arrest. That she did not execute him was owing to his wide popularity and winsome spirit. He remained under arrest until his death, despite petitions from the other clergy that he be restored to his archdiocese. The queen did, however, send Grindal a heavy silver cup as a gesture of peace, and allowed him to conduct some of his functions quietly. She was wise enough not to appoint anyone else in his place during his life, even after he went blind and requested to be relieved of his duties. 1606 The Virginia Company loads three ships with settlers and sets sail to establish Jamestown, Virginia, the first permanent English settlement in the Americas. 1669 First jury trial in Delaware. This day the Long Finn called Marcus Jacobson was by warrant put on board Mr. Cousseau's ship called the Fort Albany to be transported and sold at the Barbadoes according to the sentence of Court at Delaware for his attempting rebellion. He had been a prisoner in the State house since the 20th day of December last. Marcus Jacobson was condemned for insurrection & sentenced to flogging, branding & slavery. 1699 Peter the Great ordered Russian New Year changed-Sept 1 to Jan 1. In 1699, Peter also abolished the traditional Russian calendar, in which the year began on September 1, in favor of the Julian calendar, in which the year began on January 1. Traditionally, the years were reckoned from the purported creation of the World, but after Peter's reforms, they were to be counted from the birth of Christ. Russia moved to Julian calendar just as the rest of Europe was moving to the Gregorian calendar. Russia would stay on the Julian calendar until the October Revolution in 1918. 1787 The United Society of Believers in Christ's Second Appearing, the Shaking Quakers or Shakers, began a revival movement in colonial America that ignited religious fervor among other denominations, especially in Kentucky and other frontier regions. 1790 First successful US cotton mill to spin yarn (Pawtucket RI) In 1790, the first successful cotton spinning machines built using American resources began production of cotton yarn in Pawtucket, Rhode Island. Samuel Slater was first in the U.S. to reliably duplicate British cotton spinning machines. Slater had emigrated secretly from England (1789) with details of Richard Arkwight's machines memorized while an apprentice in a mill. 1803 The Louisiana Purchase is completed at a ceremony in New Orleans, Louisiana. Thomas Jefferson selected William Charles Cole Claiborne, former governor of the Mississippi territory and highest-ranking civilian official in the vicinity, to govern lower Louisiana. Backing Claiborne with military power was General James Wilkinson. On December 20, 1803 these two commissioners signed the transfer document with Laussat, giving lower Louisiana officially to the United States. The United States took formal possession of the full territory of Louisiana in St. Louis three months later, when France handed over the rights to upper Louisiana. 1816 First savings bank in US opens (Philadelphia Savings Fund Society) At the beginning of the 19th century, banking was still something only done by those that had assets or wealth that needed safekeeping. The first savings bank in the United States, the Philadelphia Savings Fund Society, was established on December 20, 1816, and by the 1830s such institutions had become widespread. 1845 The Baldwin Institute was chartered in Berea, Ohio, by Methodists. In 1854 the school changed its name to Baldwin University. In 1914 the college joined with German Wallace College and adopted the new name Baldwin-Wallace College. 1856 Newberry College was chartered in Newberry, South Carolina, under Lutheran auspices. 1860 South Carolina becomes the first state to attempt to secede from the United States. 1879 Tom Edison privately demonstrated incandescent light at Menlo Park. In 1879, Thomas A. Edison privately demonstrated his incandescent light at Menlo Park, New Jersey. He had invented the lamp on Oct 21, 1879 after 13 months of experimentation to discover a suitable material for the filament. He found carbonized cotton filaments could operate for 40 hours in a vacuum inside a glass bulb. 1880 New York's Broadway lit by electricity, becomes known as "Great White Way" In 1880, New York's Broadway was first lighted by electricity and became known as the "Great White Way." Charles F. Brush successfully demonstrated his arc lamps along Broadway. His arc lights preceded Edison's incandescent light bulb in commercial use. Arc lights were suited to applications where a bright light was needed, such as street lights and lighting in commercial and public buildings. 1883 International cantilever railway bridge opens at Niagara Falls. In 1883, the international cantilever railway bridge at Niagara Falls was opened with a ceremony before a gathered crowd estimated at more than 10,000 persons. From each of two steel towers which rose from the water level below were built two lever arms, one reaching the shore while the other was extended over the gorge. With an ordinary truss bridging the gap between the cantilevers, the bridge span was 495-ft. The railway was 240-ft above the Niagara River, with a double track and weight capacity for two trains. 1891 Strongman Louis Cyr withstands the pull of 4 horses. On December 1, 1891 at Sohmer Park in Montreal, before some 10,000 people Cyr resisted the pull of four draught horses, two each side, pulling away at his clenched hands, regardless of grooms cracking their whips to encourage the horses to pull harder and strain their haunches. Cyr was a big man in all ways, both heart and size, being a great trencherman, eating more than four normal men. Up to 6 lbs. of meat at one meal...a genuine gourmand, increasing weight enormously in his later years. His lightest bodyweight was when he competed against August Johnson, then just 270 lbs., although his normal contest condition was nearer 320 lbs. 1892 Pneumatic automobile tire patented, Syracuse NY. In 1892, the first U.S. patent issued for a pneumatic automobile tire that could readily and easily be detached or mounted to the rim of a wheel. The inventors were Alexander T. Brown and George Stillman of Syracuse, New York. They claimed as their improvement a wheel with an exterior grooved rim with flanges to retain a tire with an inflatable tube. Peripheral metal bands embedded in the tire are designed to form a bead that will be forced by air pressure upon inflation to be seated and retained in the grooved rim. Thus no permanent connection between the tire and the wheel is necessary, and no tools for tightening are required, other than those used for inflation. 1900 Giacobini discovers a comet (will be first comet visited by spacecraft) In 1900, Michel Giacobini in France discovered a comet, which was rediscovered by a German, Ernst Zinner, on October 23, 1913, and since named the Giacobini-Zinner comet. It returns to the vicinity of the earth every six and two-thirds years. This comet became the first to be visited by a spacecraft. The International Cometary Explorer (ICE) flew through its gas tail on September 11, 1985, at a speed of 21 km/sec some 7,800-km downstream from the nucleus. The nucleus was estimated to be 2.5-km across at its widest diameter. Instruments detected carbon monosulfide and hydroxyl molecules in the comet. The comet is the progenitor of the Draconid meteor shower, visible annually in early October, which produced intense meteor displays in 1933 and 1946. 1915 World War I: The last Australian troops are evacuated from Gallipoli. 1917 Cheka, the first Soviet secret police force, is founded. 1920 Leslie Townes "Bob" Hope becomes an American citizen. Hope was born in Eltham, London, England, the fifth of seven sons. His English father, William Henry Hope, was a stonemason from Weston-super-Mare and his Welsh mother, Avis Townes, was a light opera singer but later had to find work as a cleaning woman. In 1907, Leslie's father brought the family to Cleveland, Ohio. In 1920, by virtue of his father's naturalization, 17 year old Bob and his brothers became US citizens. 1941 World War II: First battle of the American Volunteer Group, better known as the "Flying Tigers" in Kunming, China. 1942 World War II: Japanese air forces bomb Calcutta, India. 1946 The popular Christmas film It's a Wonderful Life is first released in New York, New York. 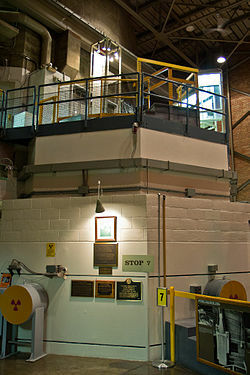 Experimental Breeder Reactor Number 1 in Idaho, the first power reactor. 1951 The EBR-1 in Arco, Idaho becomes the first nuclear power plant to generate electricity. The electricity powered four light bulbs. 1952 A United States Air Force C-124 crashes and burns in Moses Lake, Washington killing 87. 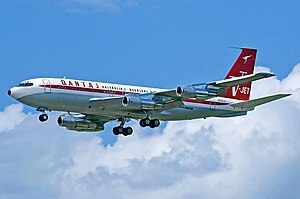 1957 The initial production version of the Boeing 707 makes its first flight. 1959 Unknown attackers murder the Walker family in Osprey, Florida. 1960 The National Front for the Liberation of Vietnam is formed. Budd Pennsylvania Railroad Metroliner electric multiple-unit car circa 1968 before acceptance. All Metroliners, including this car, began revenue service with Penn Central markings. 1967 A Pennsylvania Railroad Metroliner reaches over the limit of 155 mph on their New York Division, also present day Amtrak's Northeast Corridor. 1968 The Zodiac Killer kills Betty Lou Jenson and David Faraday in Vallejo, California. 1971 Zulfikar Ali Bhutto takes over as the fourth President of Pakistan. 1973 The Prime Minister of Spain, Admiral Luis Carrero Blanco, is assassinated in Madrid by a car bomb attack by an armed Basque nationalist and separatist organization. 1977 Djibouti and Vietnam join the United Nations. 1984 The Summit Tunnel fire is the largest underground fire in history, as a freight train carrying over 1 million liters of gasoline derails near the town of Todmorden, England/b] in the Pennines. 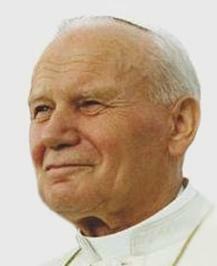 1985 Pope John Paul II announces the institution of World Youth Day. 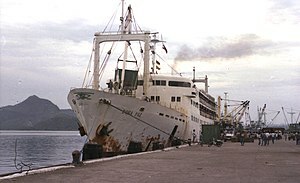 1987 In the worst peacetime sea disaster, the passenger ferry Doña Paz sinks after colliding with the oil tanker Vector in the Tablas Strait in the Philippines, killing an estimated 4,000 people (1,749 official). 1988 The United Nations Convention Against Illicit Traffic in Narcotic Drugs and Psychotropic Substances is signed in Vienna, Austria. 1989 United States invasion of Panama: The United States sends troops into Panama to overthrow government of Manuel Noriega. This is also the first combat use of purpose-designed stealth aircraft. 1991 A Missouri court sentences the Palestinian militant Zein Isa and his wife Maria to death for the honor killing of their daughter Palestina. 1995 NATO begins peacekeeping in Bosnia. 1995 American Airlines Flight 965, a Boeing 757, crashes into a mountain 50 km north of Cali, Colombia killing 159. 1996 NeXT merges with Apple Computer, starting the path to Mac OS X. 1999 Macau is handed over to China by Portugal. 2007 Elizabeth II becomes the oldest monarch of the United Kingdom, surpassing Queen Victoria, who lived for 81 years, 7 months and 29 days. 2007 The Portrait of Suzanne Bloch (1904), by the Spanish artist Pablo Picasso, and O Lavrador de Café by Brazilian modernist painter Cândido Portinari, are stolen from the São Paulo Museum of Art. 2013 China successfully launches the Bolivian Túpac Katari 1 from the Xichang Satellite Launch Center. 2014 Two police officers of the New York City Police Department are shot and killed, allegedly in retaliation against the deaths of Eric Garner and Michael Brown. 1488 Thomas Müntzer, radical German reformer, in Stolberg, Germany (d. 27 May 1525). 1566 Edward Wightman, English Baptist preacher and the last person to be executed for heresy in England, (d. 11 April 1612). 1863 C. C. (Charles Cutler) Torrey, American biblical linguist, (d. 12 November 1956). 1866 Gustav Adolf Fandrey, professor at the Wartburg Theological Seminary and president of the Iowa Synod, was born in Samter, Posen, Germany (d. 14 July 1930). 1899 Martyn Lloyd-Jones. Cardiff is a seaport and the capital of Wales--a city graced with many historic buildings and overlooked by a castle on a hill. A town of fewer than 2,000 people in 1801, its population multiplied into the hundreds of thousands in the 19th century. Martyn Lloyd-Jones contributed to that population boom when he was born in Cardiff on this day, December 20, 1899. Martyn's childhood had at least one highlight: In January, 1910, his home caught on fire while he and his brothers were sleeping. All of them could easily have lost their lives. The family did lose almost everything they owned and their shaky finances never recovered. As a result, Martyn set out with real determination to succeed. He entered a London medical school, completing all his exams at such a young age that he had to wait for his degree until his age caught up with his education. He became the chief clinical assistant of a leading physician, Sir Thomas Horder. Horder described Martyn as "the most acute thinker that I ever knew." Martyn faced the prospect of a brilliant and financially rewarding career. But something happened to change that. Martyn had joined a Calvinist Methodist church when he was fifteen-years-old. Around 1924, he began to seriously consider his spiritual condition. "For many years I thought I was a Christian when in fact I was not. It was only later that I came to see that I had never been a Christian and became one." Reading the Bible for himself and pondering its meaning, he eventually realized that "What I needed was preaching that would convict me of sin and ... bring me to repentance and tell me something about regeneration. But I never heard that. The preaching we had was always based on the assumption that we were all Christians..."
Martyn asked Christ to become master of his life. As soon as he had made that decision, he was overwhelmed with a longing to return to Wales to share his new-found faith with the folks back home. He took a small church in Aberavon, Wales. Local doctors snubbed him, thinking he was going to poach on their patients. But Martyn wanted instead to win souls. He preached clear, analytical messages. Working men and women came to know Christ. Notorious alcoholics converted to Christ. Other churches invited him to speak. A few years after Martyn came to Aberavon, a local doctor asked for help with a difficult medical case. Martyn diagnosed the problem at once and proved completely right. After that, demands for his medical assistance increased to the point that they almost threatened his pastoral work. His name became increasingly well-known. 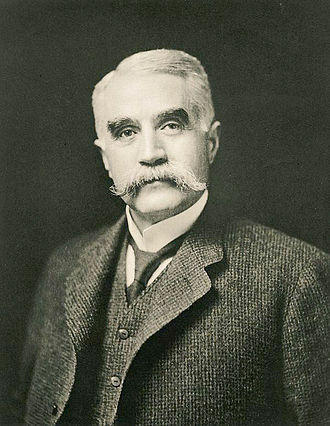 G. Campbell Morgan, another pastor with a powerful ministry, invited him to come to Westminster Chapel. Martyn accepted the Westminster invitation in 1938. Publication of his powerful sermons made him internationally famous. He died in 1981. 1907 Al Rinker (December 20, 1907 – June 11, 1982) was an American musician who began his career as a teen performing with Bing Crosby in the early 1920s in Spokane, Washington in various musical groups. In 1925 the pair moved on to Los Angeles, eventually forming the Rhythm Boys trio with singer/songwriter/pianist Harry Barris. Barris wrote the songs "Mississippi Mud", "I Surrender, Dear", and "Wrap Your Troubles in Dreams" among others. The singing group worked with Paul Whiteman's Big Band for three years. They went out on their own for a year until Crosby effectively dissolved the group to go solo. The Rhythm Boys were filmed for the Paul Whiteman movie The King of Jazz (1930) singing "Mississippi Mud", "So the Bluebirds and the Blackbirds Got Together", "A Bench in the Park", and "Happy Feet". According to a filmed interview of Rinker, Crosby performed the first two weeks on his first film while on daytime work release from jail after crashing his car into a telephone pole while driving drunk. After the Rhythm Boys broke up, they reunited only once, to appear together on the Paul Whiteman Presents radio broadcast on July 4, 1943. In 1952, a song for which Rinker wrote the music with lyrics by Floyd Huddleston, "You Can't Do Wrong Doin' Right", appeared in the films Push-Button Kitty and The Affairs of Dobie Gillis. He also wrote the song "Everybody Wants to Be a Cat" also with Floyd Huddleston for the Disney animated children's movie The Aristocats (1970). Rinker was born in Tekoa, Washington; his mother, Josephine, was an enrolled member of the Coeur d'Alene Tribe and a devout Roman Catholic. He and his siblings grew up on the Coeur d'Alene Indian reservation near DeSmet, Idaho. 107 Ignatius of Antioch, third bishop of Antioch, was martyred, according to tradition, under Trajan and is commemorated on this date (b. ca. 35). 1803 Samuel Hopkins (b. 17 Sep 1721), colonial American theologian. Samuel Hopkins was a Connecticut farm boy of the eighteenth century who might have been content to stay on the land as a farmer had not the farm began to fail about the same time that he became interested in books. As a result, he left home at fourteen to study. The result of that decision was that he created a variation of Calvinism known as Hopkinsianism or "the New Divinity." He also became the model of a leading character in Harriet Beecher Stowe's novel The Minister's Wooing. After studying at Yale and then in the home of Jonathan Edwards, Samuel filled pulpits here and there before becoming pastor of Housatonic (now Great Barrington, Massachusetts). He was a much better writer than speaker. Another famous preacher of the day, William E. Channing, remarked, "He was the very ideal of bad delivery; such tones never came from any human voice within my hearing." As a young man, Samuel believed that Jonathan Edwards was right to teach that pastors must be converted before preaching. He came to loathe his sinful self. One evening he had an experience in which the presence of God was strong to him, and he thought that was his conversion, but to the end of his life he admitted that he wasn't quite sure he was saved. Samuel's thinking got him in trouble wherever he went. One of his central ideas was that a person must love God so much as to be willing to be damned if that is for God's glory. "You know that it is most for the glory of God that some should be damned. And if you do not know that you are a Christian, you do not know but it is in fact true that you should be damned...Supposing, then, this were true...how ought you to feel with respect to it? Ought you not be willing to be damned?" His logic sprang out of another key idea in his thinking: that we must have benevolence without regard for ourselves. Any form of self-love was completely wrong. To many of his contemporaries, this was contrary to the Bible's promises of rewards which certainly seem to appeal to people on the basis of their long-term self-interest. However, it was hard to argue with him, since he really did live a life of love, doing what he thought best for his congregations, even when it meant he went hungry. The minister also angered Puritan slave owners by preaching that slavery is wrong. His arguments sprang directly from his theology: To hold anyone as a slave was not benevolent or loving toward them. When he was a pastor in Rhode Island, he started a successful drive to outlaw slavery in that state. Samuel Hopkins' thinking had a strong effect on government theory. A republic, such as the United States, would work well only if its high officials sacrificed their own interests for what he called "the public interest." He also envisioned a future in which the church would usher in the Millennium, Christ's thousand year reign on earth (which he said was not to be taken literally). Samuel suffered a severe stroke in 1799. He continued to preach until his death four years later, although he could not do much for himself. By his death on this day, December 20, 1803, more than 100 New England pastors had adopted his theological system, in part because it offered an explanation of how God could be completely sovereign (as their Calvinism taught) but not responsible for the sins people commit. 1812 Sacagawea (/ˌsækədʒəˈwiːə/; also Sakakawea or Sacajawea; (b May 1788) Lemhi Shoshone woman who is known for her help to the Lewis and Clark Expedition in achieving their chartered mission objectives by exploring the Louisiana Territory. Sacagawea traveled with the expedition thousands of miles from North Dakota to the Pacific Ocean. She helped establish cultural contacts with Native American populations in addition to her contributions to natural history. 1849 William Miller, originator of the Advent Movement that predicted a definite time for Christ's Second Coming, in Low Hampton, New York (b. 15 Feb 1782). 1937 Frederick Randt, Missouri Synod vice-president, died (b. 5 March 1868, New York City). He was educated at Concordia College (Fort Wayne, Indiana) and Concordia Seminary (Saint Louis), graduating in 1889. He served as pastor of various churches in Wisconsin and Minnesota, the last at Zion Lutheran Church (Saint Paul). He was also an instructor at the Wittenberg (Wisconsin) Academy. He held various offices in the Minnesota District from 1915 to 1929 and was elected fourth vice-president of the synod in 1929, serving until his death. Martyrs Liberatus and Bajulus, at Rome. Novgorod Icon of the Theotokos, "Deliverance of the Drowning" ("Rescuer of the Drowning").